Persian is not the language of Iran or Afghanistan, but also spoken in the regions where there is an influence of Persian culture. Before the arrival of the British, this was the official language of Muslim rulers in Indian Subcontinent. It is also known as Dari and Farsi because it is not only restricted to Muslims, but also to the Afghan people who are abundantly speaking this language. Farsi that is the second name for the Persian language is mostly spoken in Iran. For us it is clear that these two are the forms of Persian languages, but in the western world this thing is confusing that is why most of the people see these two as the same languages as the similarities are too obvious. Dari is officially declared as the language of Afghanistan, whereas the other prominent language that is spoken there is Pashto. The western worlds see it as Afghani, Persian because of the phonetic and grammatical overlapping with the Iranian national language. This language is spoken by 5 million people of Afghanistan and is the common language of communication. About this form of Persian language, it is supposed that it was spoken in Darbar the throne, which was used by the rulers hence got its name as Dari. To Learn Persian , having hands on this language is easy as it is clear in dialects and has easy to learn and understand grammar. Like Dari, Farsi is the official language of Iran. It belongs to some other group and has similarities mostly with Arabic language. Arabic itself is difficult to learn because of its Alphabets, this part of the Persian language is not easy to understand and learn. The language has more similarities to Urdu and Hindi than English language making it more convenient to learn for those who are native of Pakistan and India. On common grounds, Farsi is no more than a Dialect of Persian language. Farsi is also spoken by the people of Afghanistan and is just a variety of Dari that is the official language of this country. Those who know the languages very much are aware of the fact that the language that is spoken in Afghanistan is an Eastern Persian language and the one spoken in Iran is western Persian language. Even in modified form the Alphabets in the Dari and Persian remains the same. If look upon the vowel system one will find that, the vowel system in Dari is different and the person will come to know that there are some consonants, which make Dari different from Farsi. To spot on the main difference between Farsi and Dari they have a main difference in the pronunciation and no more than this. For the western learner who wants to learn this language, he should keep in mind that there is less stress on Dari accents and more stress on the Farsi. Arabic is the fifth widest spoken language, which once was dominated the entire Arab dynasty. Around three hundred million of the inhabitants of this globe speak Arabic and is the sacred language in which is composed, and has said to be the divine miracle blessed to Prophet Muhammad (PBUH). There are certain associated facts with this language, which are unknown to the Muslim, including semantics and vitalities in its scriptures. The origin of this language is semantic as it belongs to the class of semantic family, which formerly originates from the Middle East and includes Aramaic and Hebrew. Arabic is the official language of Middle East covers some part of the African continent as well. Those who travel to these countries seek guidance in learning of Arabic language to which understanding of Arabic alphabets is one vital part, which eases the difficulty and enhances the proficiency of this language. The language, which we read and speak in modern days, is not the preliminary and archaic language of Quraish clan, but passing through many trials, it has absorbed different words and accents in it. The two versions are classical and modern Arabic the former is textual whereas the latter is used for speaking purposes. Classical one is mostly used for newspaper, journals and is called the language of books. The modern is the one, which has soaked changes and new initials and is restricted to mere speaking purposes. The language of the Quran is the form of Arabic, which is the means to have hands on the academic branch of this language, which has not changed and is free from errors. Every language is based on alphabets and so does Arabic, it has 28 alphabets which collectively form words and sentences eventually. For learning of this language, Arabic alphabets are of paramount importance and to learn the alphabets it is recommended to pay much of the importance to the dots, which is written from right to left. These alphabets are the foundation blocks for the language of Quran and a single mistake in these alphabets can alter the entire meanings of the word. The lexicon is the branch of grammar that covers the meanings and explanation of Arabic words. Morphology covers the formation of words and making of the sentence. Syntax branch of Arabic grammar is important for the contextual language ignored usually in the speaking perspective. It deals with inflections and for learning Arabic, one has to learn the basics of this branch. Etymology is the origin of words, which is covered by Derivations, the fourth branch of Arabic language. The branch or part of grammar, which deals with the qualification structure of this language, is rhetoric meaning speech-making attribute of any language. The oldest form of Arabic language apart from Quran encapsulation is poetry. Sacred narrations revealed and have encoded the beautification of this language in poetry, which travels from the Arabian Peninsula and molds into modern language. The history of this language dated back to the sixteenth century without which learning Arabic becomes a daunting task. Learning and studying archaic Arabic whilst probing the literature makes it more mesmerizing in its facts, which discloses the innovations and reshaping to its grammar. For the transgressors Holy Quran is a book of guidance. For the spiritual destructors, it is a beacon of light who have lost hope and faith in the sole ordinary and Sustainer of the universe. The one who is keen seeker of magnanimity of Mighty Lord, His favors, the death after life, purpose of creation should probe and recite Surah Rahman with a translation that will open portals to the world of wonders exhibiting bounties and virtues for its worshippers. This celestial Surah of the Quran, let the believers marvel at Allah’s eloquence with His manner of speech that is soothing enough to captivate His worshippers to follow His commandments. 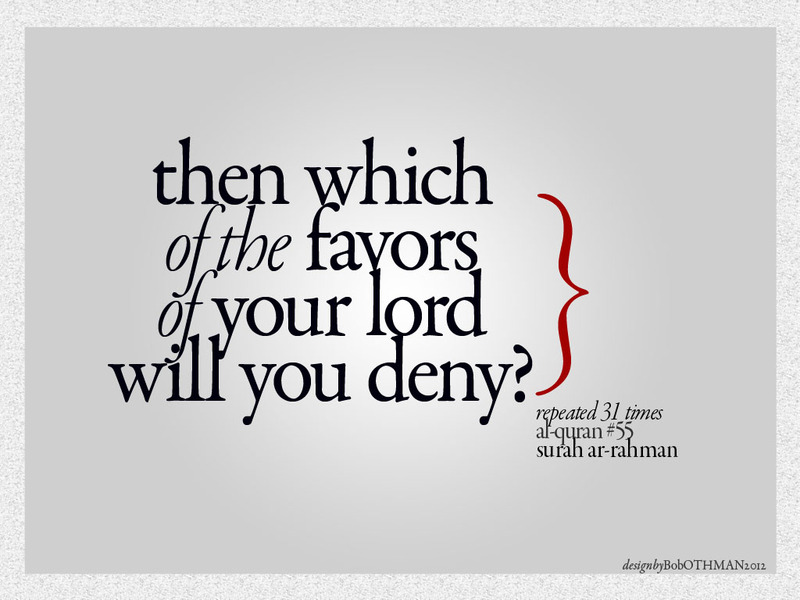 The verses of Surah Rahman remind how superior the Lord is and His sovereignty is irrefutable and irresistible. All the celestial bodies are it moon, sun or stars remain suspended in the space following his orders and cannot avert without His flawless articulated commands. In the verse, Allah has decrypted that how oceans and sea are made for the man’s comfort by allowing humans to commandeering ships while on the other hand reveals its wrath that these were the oceans who had once wiped entire civilization of the ignorant ones. Allah has enlisted all His favors ranging from birth until peace imparting religion, making a person Muslim to the follower of Messengers, wisdom until sentiments, giant oceans until the water cycle and modesty until the contentment of hearts. These favors of Allah the Exalted Deity are enough to thank Him for one’s entire life in order to worship Him with devotion and sheer faith. Those who will remain steadfast and consistent in their doings, following the sacramental orders revealed in the Quran, for those having Allah’s eternal blessings even at the Day of Judgment whereas those who will avert and remain sunken deep in ignorance eventually will rot in hell. Concisely, Quran is the book that will remain the sole guidance until Reckoning day. There has enough proofs, signs for those who want to believe in its authenticity and they will be among the distinct ones in the sight of Lord until eternity. Muslims perform Hajj to complete their obligation that Allah has ordered them to accomplish for faith revival. The performance of Pilgrimage reminds Muslim Ummah of the rituals that were once part of our Prophet (PBUH) and his follower’s customs. Each ritual is a direct commemoration to the devotion, sincerity, dedication, patience, and sacrifice of our spiritual ancestors and first generations of Muslim. Wearing Ihram reunites the Muslims with the fact that nothing is of high distinction in sight of Allah but everyone is equal. It entirely is indication of worldly life in order to get purified prior meeting the worshipping Lord. When a person dies, He is covered in a plain white Coffin, the same ritual is observed by Muslims of all creeds by wearing ihram made up of two garments. The supplications (Dua) Muhrim makes while the pilgrimage indicated the constant glorification of Lord that he ought to do in his entire life, purpose of his creation. While circumambulating the sacred house of Kabah the Muslims follow the footsteps of the first generation of Muslims. When the companions of Prophet came to perform Pilgrimage they fell ill because of the fever, hence the polytheist targeted them for their ailments. To reply to their hate mongering propaganda the Muslims were advocated to remain steadfast to disappoint the pagans. In their honor, the Muslims mostly jog in performing this divine ritual and exposed their right shoulder from ihram. Muslims pay tribute in Arafat to the victory of Muslims over the pagans and their forefathers. It was the success of truth over falsehood that perished on the day thereupon it has become the symbol of unity and at the place of Arafat al the Muhrims gather together to glorify the Supreme Lord. It also reminds the occurrence of Dooms day when all the people will be presented in front of Allah Almighty and committed deeds will be judged as per intentions. Muhrims stoned Satan at Jamarat that is the indication that Allah is mightier than the devilish lullabies. Reminding this fact to one’s self is the true shield that will stick the Muslims on righteous path and prevent not to astray. 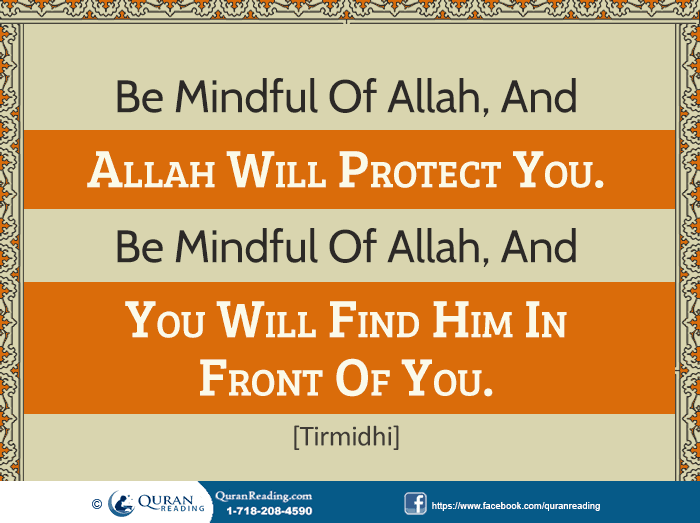 The averted Muslims at the end will be the one who will face the wrath of Allah. Al the committed rituals revive Muslim Imaan if accomplished with absolute intention only then the Hajj will be an accepted Pilgrimage in sight of Allah..
Calligraphy is an aesthetic code and art that is unique to Islamic culture and bears significant importance. Islam uses texts and letters to convey its core convictions instead of images and shapes because images reflect idolatry that is strictly prohibited in Islam. For religious expressions, the art of Calligraphy had been discovered which is the way of writing Arabic but with different styles. It was first specific to sacred scriptures, but now is embossed on Islamic heritage, books and coins. The beauty of Islamic calligraphy lies in the imaginative style that maintains the balance between the versatility of text and creativity of keeping the exact meaning of Arabic inscription. Calligraphy was originally a tool for communication in ancient times and was used to document the holy book of Quran. Later on, the rulers appoint calligraphic scholars to decorate their buildings as a manifestation and a way of paying importance to Islamic scriptures. Calligraphy has evolved beyond communication perspective into its magnificent and maverick glyph and forms. The first Arabic script was Arabic Musnad and was discovered back in Arabic peninsula. The first form of Arabic of alphabets used for calligraphy was Al Jazm. Kufic script was evolved after Musnad and Jazm, which played an important role in the citations of the Holy book of the Quran. Kufic is a block style Arabic writing that seems legible. Scholars have probed into the history to extract the link between Islamic alphabets and Calligraphy. Calligraphy is entirely based on the Scriptures comprises Arabic Alphabets. To some archeologists the calligraphic inscriptions have their roots, ties to some other languages, but indeed the parent root of such inscriptions is Arabic alphabets. Arabic has become a powerful language after the advert of Islam that holds quite an importance for Muslims because of all the Islamic scriptures and narratives that are composed in Arabic. Using this vitality the art of calligraphy has excel in the recent period and hence has transformed from aesthetically to technical skills. Ramadan is a month which contains many blessings, it is a chance for Muslims to boost their Naama-e-Aimaal greatly (in the positive way) by doing the deeds that reward us with Sawab such as offering the five daily prayers, behaving good to our parents, giving charity, doing the complete Quran recitation, etc. By boosting the Naama-e-Aimal, we mean the great quality of Ramadan where for every good deed a Muslim is rewarded greatly i.e. the reward is multiplied by seventy. Hence, this is one of the reasons why the Holy Month of Ramadan is such a celebrated month and Muslims try to indulge in as many religious activities as they can. Besides the spiritual benefits, the month of Ramadan isn’t free from health benefits as well. With the diet being limited greatly, the digestive system of a Muslim goes through a lot of healthy changes. For instance, when we have remained hungry for a great part of the day, then at the break of Roza (Iftari), we somehow tend to consume more water than food. This plays a very important role for us because this way we will be burning more fat during the rest of the day (before Iftari that is). Moreover, thanks to the Iftari menu culture among Muslims our table menu changes as well, consisting mainly of healthy food recipes. One such healthy food is dated and in the lines below we shall discuss its great attributes and why it is a healthy food to consume during Ramadan. Often due to the stress that a Muslim goes through in fasting, the body goes through certain problem such as headache, low blood sugar and lethargy. To counter these problems and to make sure that they don’t happen again, one should keep a check on his site and avoid fried, oily and fatty foods which digest and leave one wanting for more. Dates, on the other hand, are neither oily nor with fats. They are an excellent source of fiber, sugar, carbohydrates and other useful minerals. All these aid the body in maintaining good body health. The carbohydrates present in it also make it a slower food to digest thus making us feel like we’re and ultimately prompting us to eat less. Therefore, if Ramadan is observed with a proper check on our diet, then do not over-eat and we shed off extra fat from our bodies as well. Therefore, Quran surah recitation in Ramadan is particularly beneficial as each ten sawab or recitation would then be multiplied by seventy. This greatly increases our chances of entering Jannah (heaven) as our naama-e-aimal would be greatly enhanced and that is what is required for entering Jannah (heaven). We should thus recite as many quran surahs as we can, the translation of them is also as important, such as surah yaseen Urdu translation. Therefore, our intentions must always be to please Allah and never to “show off” our deeds to others. Ramadan must not be taken for granted, every Muslim must avail the blessings of this month to enhance his naama-e-aimal. This is the 100th surah (chapter) of the Holy Quran, comprising of 11 ayahs (verses). It is debatable that whether this surah was revealed in Makkah or Madina, but the subject and style of this surah somewhat point out that it’s Makki (revealed in Makkah). It first talks about the chaos, destruction that was common in Arab and then the foolish nature of man where he forgets about the day when every man would be awoken from his grave and made answerable and punishable for his deeds. 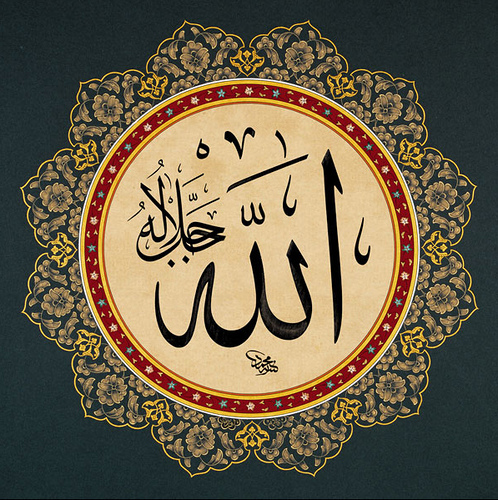 You can also have it in your smartphone by installing ‘last 20 surahs’ app from the play store. is referred to this. Since the horses panted while running and the hoofs of the horses produced sparks with the hard ground at night. Almost every village suffered this fate. Consequently, the safest village was the one which had no or very little gold or the one with great defenses. Thus, there was no heart for innocents, no care for the lives lost or destroyed. The only sympathy or concern was for wealth. men did all the destruction they could for obtaining it. Man is nothing but a great fool to think that he can get away with his sins. He must realize that one day he will be made answerable for everything. For every evil act of his, he will have a suitable punishment for it. It is not the punishment of courts that is being referred here, but the punishment from man’s creator i.e. Allah Almighty. Man thinks that he can do whatever he likes and “you live only once”. All these are foolish myths. For you live twice; the second life is the one we will live after we die, which will start by the judgment day where man will be rewarded and punished for each of his great deeds and sins respectively. Thus, whatever is in our hearts will be obtained and no secret would be kept. Everything would be shown for all to see. Mankind must remember that every deed of his is being recorded and will be presented in front of him one day. He will be punished accordingly for the bad or evil that did. Hence, this reminder must prompt him for staying good and on the right path leading to heaven. As Muslims, we are to express our personal desires and wishes to Allah. We also seek His help when we fear something bad is about to happen to us. Praying to Him is the one place where we may feel secure and at peace. It is the greatest advantage we have owing to being followers of Prophet Muhammad (S.A.W.) that we can pray directly to Him in our prayers. He is the creator of everything hence; it is not the slightest bit difficult for Him to help us if one of His creations is bothering us. By reciting this surah, we declare that we seek Allah’s help from such evil and acknowledge that there is no power greater than Him. Thus, from the above hadith we can judge the importance of this ayah for our protection during sleep. Allah’s message is the greatest and it can help us no matter what kind of trouble we are in. This world is His creation along with the troubles in it. Hence, if we feel troubled from some evil then we must turn to Him and seek His help to seek refuge from evil. It’s no doubt that there are differences amongst them; one is superior to the other. 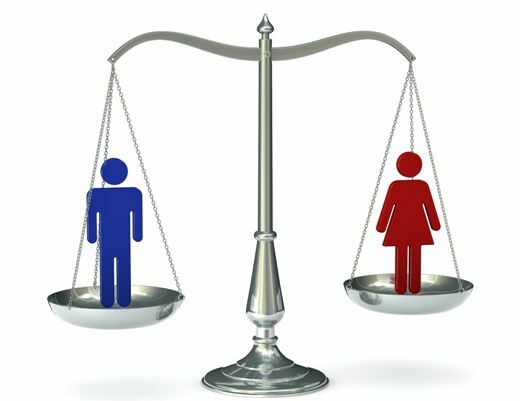 However, this does not mean that the worker is deprived of some rights and make it a principle of such and such activities being limited to a certain gender only. Women can be involved in the same activities as men, given that the limitations are taken care of. Many schools of thought are ignorant of the limitations and simply ban or prohibit some activities on women altogether. Here, some of such activities will be conferred and the wrong decisions will be proven wrong by Surah of the Quran and Hadith. Although an old concept and phased our already, it’s still employed in some parts of the developing countries. It was thought inappropriate to send women to colleges and universities for education, that “they would be out of control if they’re taught more, or would begin to question everything they’re taught or their way of living”. We can see there’s no restriction on any gender for acquisition of knowledge. He declared this practice to be mandatory for everyone, regardless of the gender. Education also has the benefit that it adds the ability of sound decision making. Since very household has a woman in it, then it’s necessary that they be educated. Many Muslims communities share the opinion that women shouldn’t be allowed to work, but as mentioned before, if limitations are taken care of, then they can be involved in the same activities as men. A great example of a woman doing business is Hazrat Khadeja (R.A.) who belonged to the Quraishi tribe and was the wife of Prophet Muhammad (S.A.W.). Given this great example of Prophet Muhammad (S.A.W.) allowing his wife to be a merchant doing business and then we ought to not have any problems in allowing our wives to do the same. Therefore, a woman who wishes to do business or work should take care of the guidelines mentioned in the Quran in order to stay on the right path. It is imperative to understand the Quran and Sunnah carefully before making foolish decisions like prohibiting women to work or study and consequently limiting their potential. Educational and means of living are for the entire mankind and not limited to only one gender. We all know from the Quran and the Ahadeeth about the incalculable compensates and profits of imploring and presenting Quran amid the daily requests to God (last 33% of the night). Whoever recounts ten aayaat (verses) in qiyaam won't be recorded as one of the distracted. Whoever discusses a hundred aayaat (verses) in qiyaam will be recorded as one of the ardent, and whoever implores a thousand aayaat (verses) in qiyaam will be recorded as one of the muqantareen (the individuals who heap up great conduct). Imam al-Bukhaari used to pray qiyam and tahajjud during the evening until the time of suhoor, and he would read between a half and 33% of the Quran, and complete it at suhoor each third night. Now It Is very necessary for Muslims to Recite and Understand Quran. Now understanding Quran is not very difficult even if you cannot understand Arabic you can easily get Quran With Urdu Translation. There are many things which are prohibited in Islam like you should confirm while eating any food item because Islam forbid eating haram food items. It is difficult to identify whether the food item is halal or haram because in non Islamic countries there is no proper way to check if the food is halal or non halal (haram). In this article you will be able to find some of the ways through which you can find the halal food items. In case you can't find a Halal asserted restaurant, then the accompanying decision is to find a support restaurant which is without instability regulated by Muslims. Despite the way that with the wide use of arranged fixings, even the Muslim cooks may sooner or later not is totally aware of what they use, this is the second best decision. Try your best to visit those halal food restaurants which are assured to be halal. But in a couple of events even some guaranteed outlets have been found to have issues, they are by far, the most secure option. Most such outlets will demonstrate their affirmation logo some spot in the premises. Confirm with the restaurant that they don't use alcohol or animal based fixings/oil for food arranging. There are some mobile applications which finds nearest halal food restaurants located near your location. These applications are helpful to find Islamic restaurants in your area. Keep up a vital separation from restaurants which say they use halal meat, moreover serve non-halal meat/sustenance. In larger piece of cases they will be get prepared non-halal meat and Halal Food in the same kitchen and contamination is sure to happen. Exactly when getting took care of sustenance/ snacks at the target, check for a genuine Halal logo. In case the logo is not presented in the packaging, keep away from acquiring them. Since no readied sustenance is presently past the risk of being polluted. Simply strategy for guaranteeing that they don't contain any non-halal fixings these days is self-governing testament and checking of these things. Don't acknowledge bread and other baked good shop sustenance’s are Halal if they are not ensured. There are tons of ways non-halal fixings can get into that sustenance too. Halal and haram are the boundaries to check whether Muslims are following the rules of Allah and there is logical reason behind halal food items. Modern medical science has proven almost all the facts of Islam about halal food items that those items which are forbidden or non halal are medically harmful for the human body. Now it is up to us whether we follow the guidelines or not. Faith is essential in Islam. Right faith about ALLAH, the universe, and mankind is of essential concern to Muslims. To have faith in these principles, as well as many others, are essential to the followers of Holy Prophet Muhammad (S.A.W). To testify that none has the right to be worshipped but Allah and Muhammad is Allah's Messenger (S.A.W). To pay Zakat (i.e. obligatory charity) . The Prophet (S.A.W) said, "A Muslim is the one who avoids harming Muslims with his tongue and hands. And a Muhajir (emigrant) is the one who gives up (abandons) all what Allah has forbidden." The Prophet (S.A.W) said, "None of you will have faith till he wishes for his (Muslim) brother what he likes for himself." "Allah's Messenger (S.A.W) said, "By Him in Whose Hands my life is, none of you will have faith till he loves me more than his father and his children." Hazart Abu bakr (R.A) was always a nearby Companion of the Holy Prophet (PBUH). His original name is Abdullah ibn Abi Qhuhafah. He knew him better than some other man. He knew how fair and upright the Prophet Muhammad (PBUH) was. Such information of the Prophet made Abu Bakr (R.A) is the first man to take after the Message of Prophet Muhammad (PBUH). Hazart Abu Bakr (R.A) was quite and sincere man. He was very trustworthy person. He belongs to Nobel family. These properties make him different from other. His (R.A) kindness also won heart of Hazart Muhammad (PBUH).They become friends in early boyhood. He (R.A) was very soft hearted person. He always tries to help the poor. As He (R.A) accepted Islam he starts preaching Islam. He daily visit different people and invite them. So he was also second who preach Islam. He (R.A) was also the companion of cave. He surfed Islam in all his possible ways. He was commander in battle of baddar. After the Ascension in the 10th year He (PBUH) narrated in the morning. Some of them came of Hazart Abu Bakr (R.A) and they told that what holly prophet (PBUH) is saying. He (R.A) said if He (PBUH) is saying then its truth. For this Holly Prophet (PBUH) named him as-Saddiq. After a fortnight's disease, As-Siddiq al-Akbar passed away at 61 years old on the 22nd Jamadal-Akhira. Prior to his demise he said to his girl Lady 'Aisha (R.A), "Don't utilize new fabric for my cover. Wash the sheet in my utilization and wrap my body in it". His wish was followed up on. His next wish was to pay all the cash he got as compensation for Caliph from "Baitul Mal" (The Public Treasury) in the wake of offering his arrangement. He said, I didn't prefer to take anything from the "Baitul Mal however Umar pressed me to acknowledge some remittance so I would be soothed of my occupation and give my full time to the obligations of the Khilafat (Caliphate). I was left no decision however to acknowledge the offer". After his demise 'Aisha asked Hazrat Umar to assume control over that arrangement as craved by her father. Umar remarked: "May Allah bless him. He left no chance for anybody to open his lips against him".